Coping with pet bereavement – so cute, but what to do when they die? My daughter squeals with delight as she peers into the glass tank filled with small furry balls of fun. Every parent knows the time will come when their child asks that dreaded question. Whether it’s a hamster, fish or snake, the “fever” eventually strikes all kids. It’s not that we don’t like animals or that we don’t believe they enrich our lives; we know the pain when pets pass away and don’t want that for our child. As parents, we don’t like disappointing our children so we often succumb to this rite of passage. We mull over the options, debate with ourselves, and finally purchase a seemingly harmless, low maintenance pet; think hamster or bunny. These cute furry mammals have a way of melting even the most steadfast parent’s hearts when we see our children cradling them in their arms. I’m absolutely sure that pet shops factor the cuteness quotient into their cage designs. Lucky for the pets, it usually works. We reason with ourselves that these small additions to the family will be a giant step towards teaching our children responsibility and they do, but unfortunately, we easily underestimate the strong emotional bond our children form with these “starter” pets. For this reason, some families decide to choose the more hardy species [cat/dog] and circumvent the frequent passing of the typical rodent. In either case, parents have the difficult task of teaching about inevitable death and managing pet bereavement. The ugly truth is that pets die; old age, disease, and some [like my daughter’s poor overfed fish], from their owner’s inexperience with caring for them. Parents need to prepare their children for the end even as we rejoice the beginning of the relationship. Children old enough to have a pet need to understand and appreciate the life and death process, tailored to their maturity level, so they aren’t traumatized when something unexpected happens. Most kids can handle hearing the truth as without it, their imaginations concoct far worse scenarios. Children may notice your feelings of loss and sadness, but will have no understanding of their meaning. Nothing. Try to calm yourself and grieve privately to avoid upsetting your infant. Simply comfort child if restless. Children may believe that their pet is sleeping and will wake up. They may be fascinated by seeing the dead body. Bunny Foofoo isn’t sleeping, she has died and she won’t wake up. She can’t open her eyes anymore, even if you touch her. Children may believe they can bring the animal back to life. They often feel as if their pets won’t ever die. I’m so sorry that Bunny Foofoo died, she was very special. Would you like to bury her in a special place? Most children of this age can understand the concept of death. They understand all living creatures will eventually die. They become very interested in what happens to their pet after it dies. Remember when we talked about Bunny Foofoo dying? Sometimes animals get sick and it’s not easy to know what happened since they can’t talk. I wish that she could have lived longer but I’m sure she’s happy in carrot Heaven. Bury the pet in a waterproof airtight bag or container. This will keep other animals interest off the scent. Explain to the children that the pet’s body needs to be protected. Dig a hole at least one foot deep, bury the pet and cover with the removed soil. This will ensure it remains buried regardless of external factors such as weather. Parents should say a few kind words about the pet. This helps your child realize that you also felt it was an important part of the family. Invite your child to express his/her feelings. Have a good cry. It really is the best medicine. Your child may need a visual guide to help alleviate grief; families often purchase a small plaque with the pet’s name to commemorate the sacred spot. Most children will do well with the backyard burial and have a sense of peace in the finality of it. Once the sweet smelling grass grows back in over the site, you’ll be able to use their pet’s death to describe the circle of life. Don’t be surprised though, if your little one asks for a new pet before you get back in the house. Have you experienced pet bereavement with your children – how did you cope? Do let us know below; and perhaps add to the advice we have given. Thanks to our guest blogger, Helicopter Mom; she can be found hanging about on Twitter, if you care to join her! 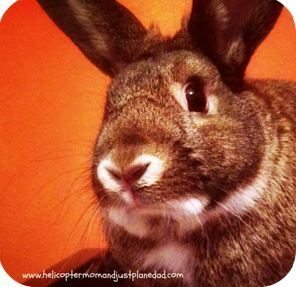 My adult duaghter and my sister just had pets die so this is a great article that needs to be addressed. My son’t old service dog is startig a blog attache to mine. I am re-organizing by Jan 1. Are you interted in guest blogging that will be posteed for one week. ?